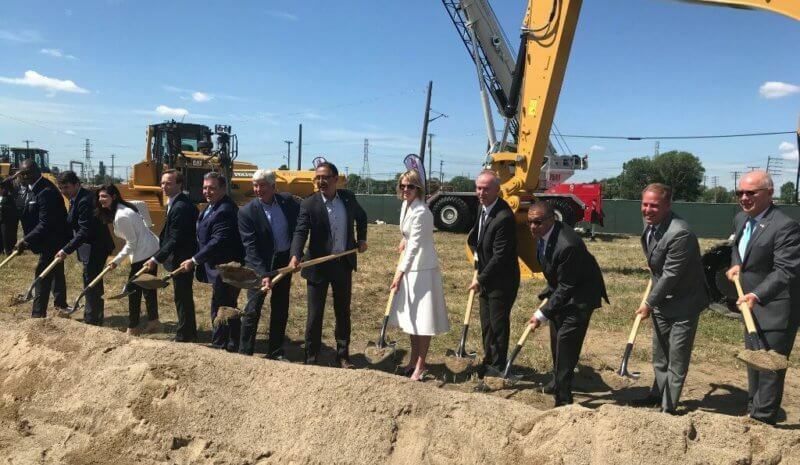 Yesterday, Windsor-Detroit Bridge Authority (WDBA) held a groundbreaking ceremony at the US Port of Entry site for the Gordie Howe International Bridge. This ground breaking celebrated the start of advance work in Michigan, in preparation for full construction to start later this year. Beginning in July 2018, Bridging North America will begin construction at the US project sites, including bridge piers and on lands that will become the US Port of Entry and at the Michigan Interchange. WDBA – Michigan Advance Construction – Click link to read more about what work will be included, who will be on the site, how contractors can get involved, community engagement and more!